Vehicles are lasting much longer nowadays than ever before. Today, the average car has been on the road for a record-high 11.4 years. Just because these vehicles are lasting longer, however, doesn't mean that drivers should neglect their automotive repair needs. 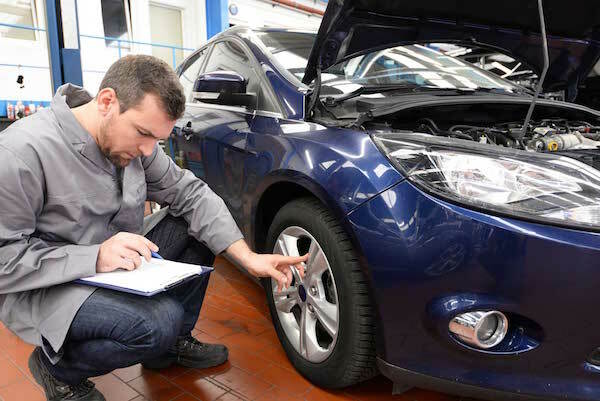 Keeping up with your vehicle's auto repair is essential for not only the continuing function of your car, but for the safety of yourself and other drivers on the road. Far too many people don't take auto repair seriously and ignore issues until it's much too late. Doing this will undoubtedly end up costing you much more money in the long run, as you'll be paying for major fixes rather than minor services. And ignoring certain issues with your vehicle can lead to roadway trouble. Here are a few things that absolutely must be checked by every driver to avoid future damages on the road. Ignoring engine problems is the quickest way to fully destroy your vehicle. Engine trouble, no matter the issue, can be the most expensive and dangerous vehicular problem to have. There are a few things that even those with relatively no automotive knowledge can do to at least keep your car's engine running okay. Making sure that you have enough oil in your engine is essential and easy to check. You should also peak under your car's hood at least once every few weeks to make sure there are no obvious problems. To really ensure that your engine is running properly, you should visit an auto repair shop and receive quality automotive service. Checking all four of your vehicle's tires should be an absolute must before you get behind the wheel every day. Even one tire with low air can end up shattering on the highway, sending your car spinning out of control. It's essential that you keep an eye on all of your tire's air pressure and fill them up accordingly. Getting your car serviced can also provide you with a full tire rotation that will help your vehicle last longer as well. Another dangerous problem to have out on the roadway is any issue involving your brakes. Your brakes are one the most important safety aspect of the entire vehicle, even more than seat belts. If the brakes aren't properly working, it puts you and everyone else on the road at risk of serious injury or worse. Talk to automotive repair professionals who can help repair your brakes if you notice any issues.